String light set perfect for Christmas or party decoration! 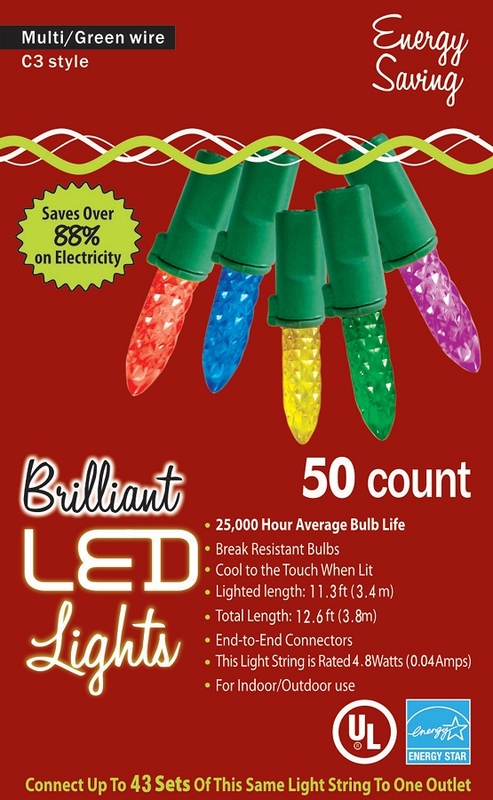 50-count Brilliant LED lighting. Multi-colored lights with green cord that has end to end connectors. String has a 11.3 ft lighted length/12.6 total length. Rated: 4.8 watts (0.04amps)/set, 3.0A/120V Fuse, Spare 1 bulb/1 fuse. Can connect up to 87 sets of same light string to one outlet!